New Canton, Buckingham County | slate river ramblings . . . .
My ancestor, Charles S. Saunders worked as a tailor in New Canton, Buckingham County. He married a planter’s daughter, Elizabeth Holman Chambers, and, eventually, took over a large portion of her father’s farm at Chambers’ Mills. 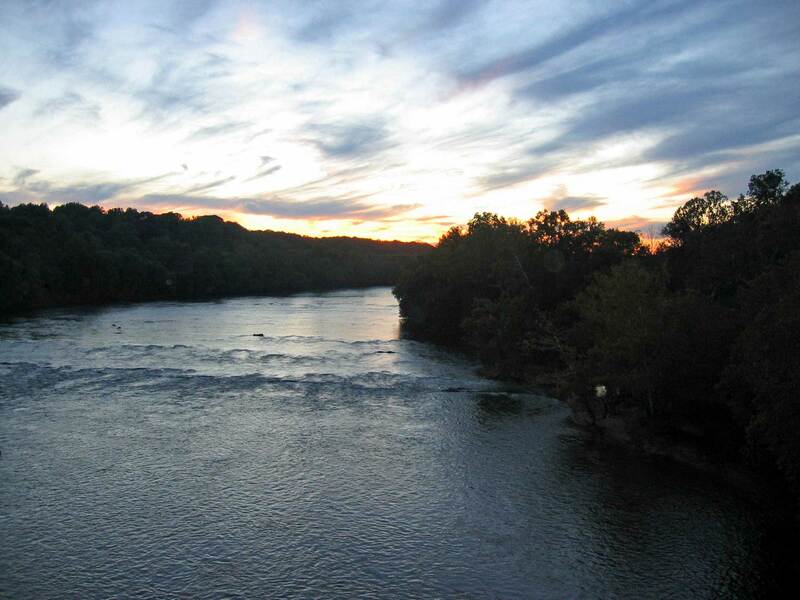 New Canton, Post Village, in the northern part of the county, 63 miles west of Richmond and 138 from Washington, D.C., situated at the mouth of Slate Creek, on an elevated bank about a fourth of a mile from James River, commanding a beautiful perspective view down the river. It was once a place of considerable trade, but has been for sometime rapidly declining. It contains thirty-six dwelling houses, three mercantile stores, one tavern, one flour manufacturing mill, one tan yard, and one saddler. A Free House of worship is situated a mile from New Canton. . . .
New Canton has one attorney and one physician. Population 50. By 1843, the town will also boast a tailor, Charles S. Saunders. Was your Charles S. Saunders an ancestor of/related to the later Dr. Thomas Archer Saunders, Senior who married Lucille Beckwith Davidson (born 1926)? Lucille was a daughter of Benjamin Ovid Davidson (a member of my Davidson family in Buckingham that ran the Davidson Orchard). Also, was Charles S. Saunders related to William Knight Saunders, Senior who married second to Caroline P. Davidson of my family? William Knight Saunders, Senior is buried in the Saunders Family Cemetery, Hwy. 736, Buckingham Co, Va. He was previously married to Lucie Catherine Bondurant. William Knight Saunders, Senior was a son of Goodrick Saunders and Lucy D. Molloy. William Knight Saunders, Senior was born 25 Sep 1830. He died 17 Dec 1911. Also, Mazie Davidson of my Davidson family married a son of William Knight Saunders, Sr. and Lucie Catherine Bondurant who was named Ernest Sheldon Saunders. Thanks! Jamie, I have not been able to attach Charles S. Saunders to a family. See my comment to Bill.